Erin does content strategy for institutions and companies, edits magazines and Web sites, and reads a lot. She formerly edited Contents Magazine, Knight-Mozilla OpenNews’s Source, a community site for journalists who code, and A List Apart. She was formerly editorial director at Happy Cog Studios and a lead content strategist at Brain Traffic. 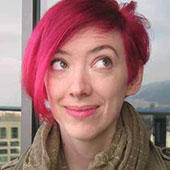 Erin is the author of The Elements of Content Strategy, from A Book Apart.